Victoria/Fraser Valley – The Ministry of Education will work with other government ministries to review and act on the recommendations contained in a just-released report on cyberbullying. On Friday, B.C.’s privacy commissioner and the representative for children and youth released a joint report on cyberbullying. The Ministry of Education will be the lead for government on responding to the recommendations with an action plan on this report. The ministry has taken a number of actions related to cyberbullying as the representative and commissioner highlight in their report and will use the ERASE strategy and redesigned curriculum as a foundation to build on. The ERASE Bullying (Expect Respect and a Safe Education) strategy is a comprehensive prevention and intervention strategy designed to address bullying and harmful behaviors in schools. Through the strategy, 3,000 educators and community partners (e.g., police, child welfare workers) are being trained every year, totalling more than 12,000 to date, to address bullying and threat making behaviour, including cyberbullying and online threats using social media. The training is dynamic in nature and has been expanded in the past year to have a stronger emphasis on cyberbullying and mental health. The ERASE strategy also includes an online reporting tool for students to report bullying and social media guidelines so students can learn responsible behaviour online. As well, 60 dedicated safe school co-ordinators and teams are in place in all school districts and many independent schools to respond to student safety concerns. The ministry has provided $4 million for the program since it was launched in 2012. In addition, the redesigned curriculum launched this fall includes a focus on all bullying behaviour and discrimination starting in Grade 4. The ministry has also developed a digital literacy framework resource for teachers, which includes developmentally appropriate learning objectives about cyberbullying, Internet safety, privacy and security, relationships and communication. B.C.’s civil forfeiture grant program has also distributed over $200,000 in grants to programs aimed at addressing and eliminating bullying among youth, including cyberbullying. Last year, a $20,000 grant in Langley and a $20,000 grant in Campbell River presented youth with guest speakers and school-based programming to address cyberbullying and sexual exploitation. The cyberbullying report also makes recommendations in the development of prosecution guidelines. The Criminal Justice Branch, which forms part of the Ministry of Justice, operates independent of government and develops prosecution policies that guide Crown Counsel in their work. 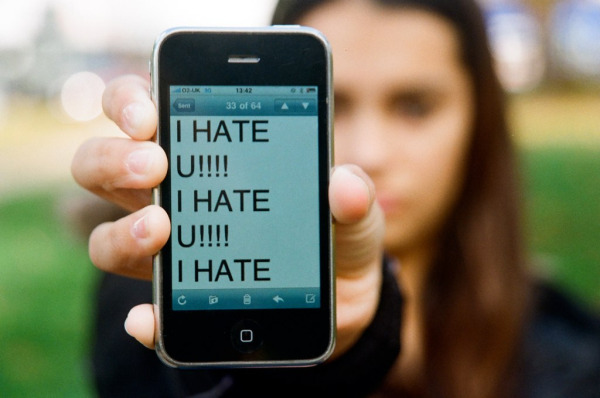 The cyberbullying report may be considered by the branch in developing policy. The branch determines independently whether a prosecution policy is required in the public interest and what form any such policy might take. Be the first to comment on "Victoria Responds To Cyberbullying Report – School Kids Most Vulnerable"